Understanding the motion of astronomical objects across the sky is important when planning an imaging session with SPIRIT. 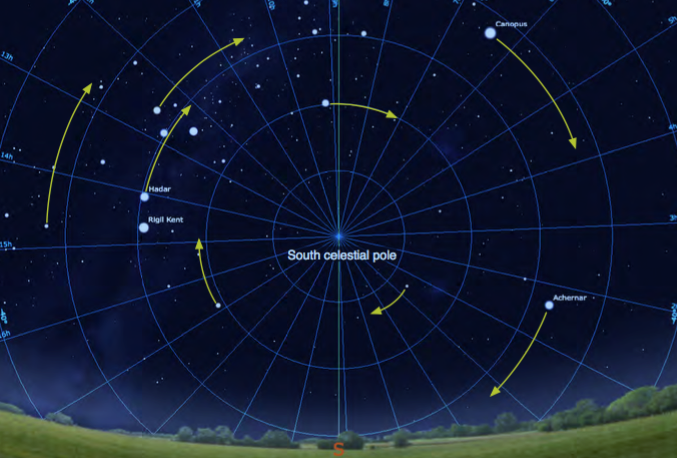 Two documents available on the Guides and documents page provide an explanation of the celestial coordinates system and target planning for objects in the skies above Perth. 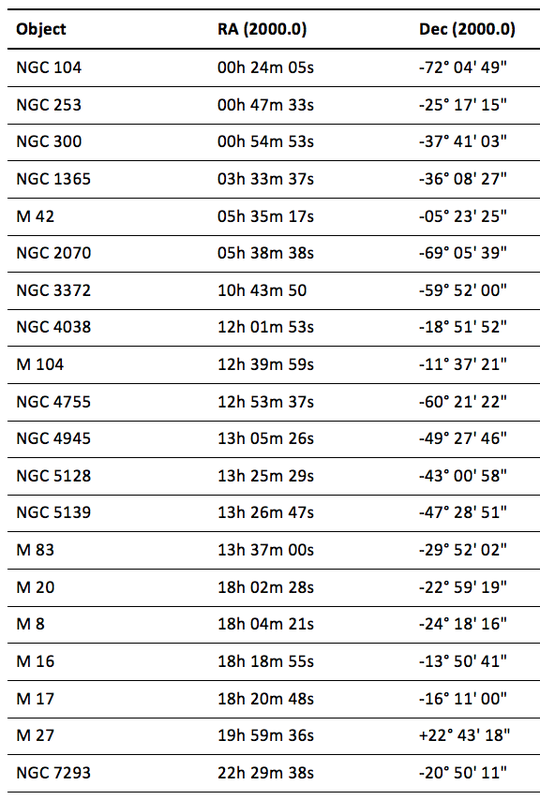 A quick guide that explains the celestial coordinates system. Fine tune your understanding of celestial motion and choose the best time to image objects of interest with SPIRIT. 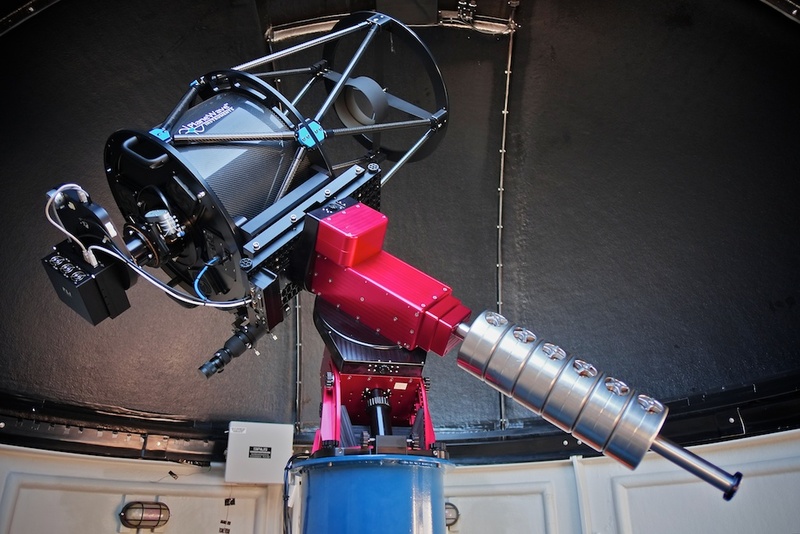 The “SPIRIT Top 20″” is a list of bright deep sky targets well suited for imaging with SPIRIT. It contains a variety of object types, including nebulae, galaxies and star clusters. Use Stellarium to find the best time of the year to image each one, and see if you can you collect all 20! It is often said that there is no ‘up’ in space. However, astronomers still need to orient themselves with the night sky in order to measure and explain the objects they observe. This short guide will explain the orientation of images taken with SPIRIT telescopes. The SPIRIT guides and documents web page has been updated. A number of new items have been added, including a revised LRGB Photoshop guide, and additional material on FITS file conversion. An exposure guide has also been added to assist new users with target planning. As always, the guides and documents web page provides a ‘one stop shop’ for all SPIRIT information. The page can be accessed here. 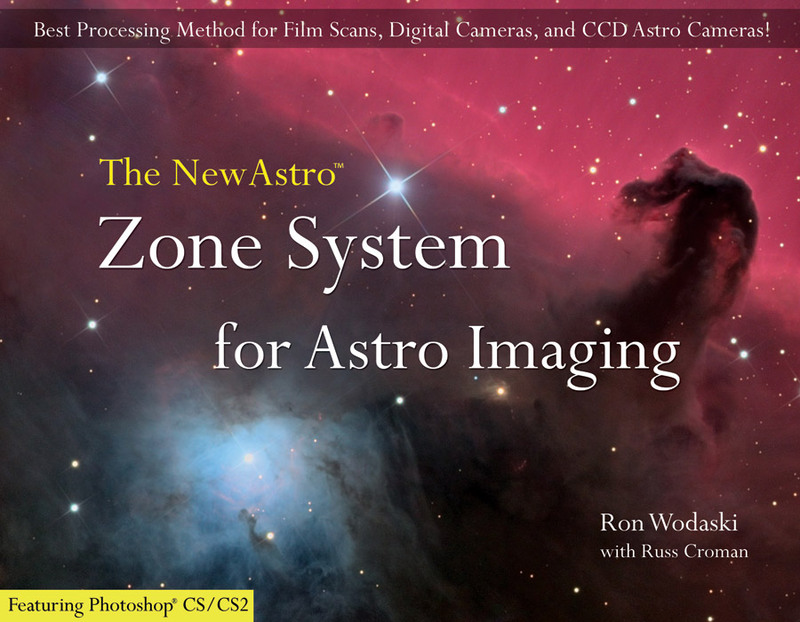 Author and astronomer Ron Wodaski has generously provided his book The New Astro Zone System for Astro Imaging free to teachers and students using SPIRIT. The ‘Zone System’ provides invaluable information for getting the most out of your astro images using Adobe Photoshop, and is particularly useful to teachers and students who have attended the SPIRIT 103 workshop at SPICE. Authorised teachers and students can download a PDF copy of the book here. A password to unlock the file can be obtained by contacting us. Additional support materials and tutorial images can be downloaded free from the Tzec Maun web site. The ESA/ESO/NASA FITS Liberator 3 released late last year is now a stand alone application and does not require Photoshop. FITS Liberator is free software that allows you to open astronomical FITS images, examine the header, make adjustments and even save the images as high quality TIFF files for manipulation in your favourite image editing software. Earlier versions were provided as a ‘plugin’ for Photoshop. This latest release does not require Photoshop and can be used on its own to view and edit FITS files. More information can be found at the ESA web site where the software can be downloaded at no charge. Please note that together with RAW and calibrated FITS files, all images acquired by SPIRIT are still provided as high quality JPEG versions that do not require FITS Liberator, or any other specialised astronomical software in order to view and manipulate them. However, including FITS Liberator in your workflow will allow you to quickly access header information from the FITs versions, such as date, time, coordinate and exposure information, which is otherwise not possible using JPEG versions alone. A guide on how to use FITS Liberator can be found here.